In large-scale distributed environments, admins face a huge challenge in terms of efficiently monitoring multiple Tomcat servers. ManageEngine's Applications Manager helps you overcome this challenge by providing in-depth visibility into the performance, availability, and usage statistics of Tomcat Servers. 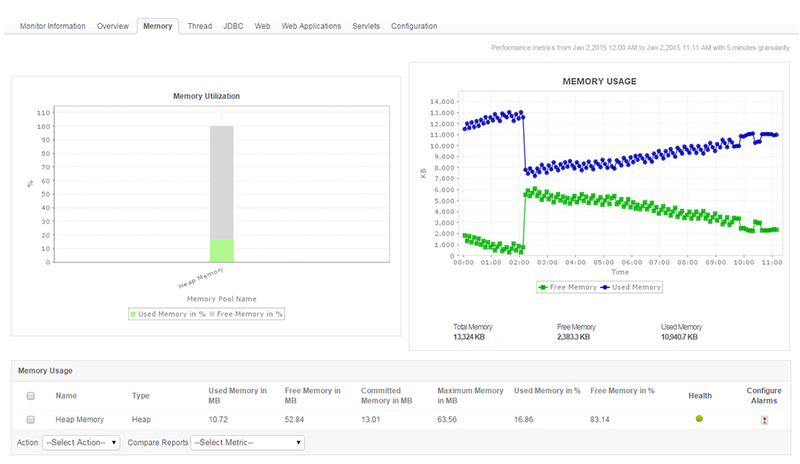 Ensure optimal resource allocation by measuring CPU/memory usage, JVM usage and response time. 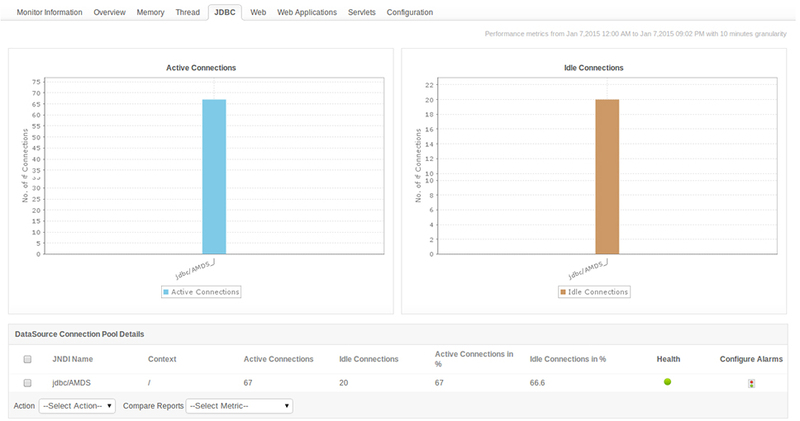 Monitor performance of applications using critical metrics such as live sessions, web applications, JDBC connection pools, thread pools, etc. Detect memory leaks by monitoring memory usage, workaround the issue by triggering a garbage collection and take a heap dump for the applications team to resolve it permanently. This way, you can avoid costly downtimes in production or delay in deployment schedules. By proper tuning of the JDBC connection pool settings the Tomcat server can handle increased load and deliver high performance. 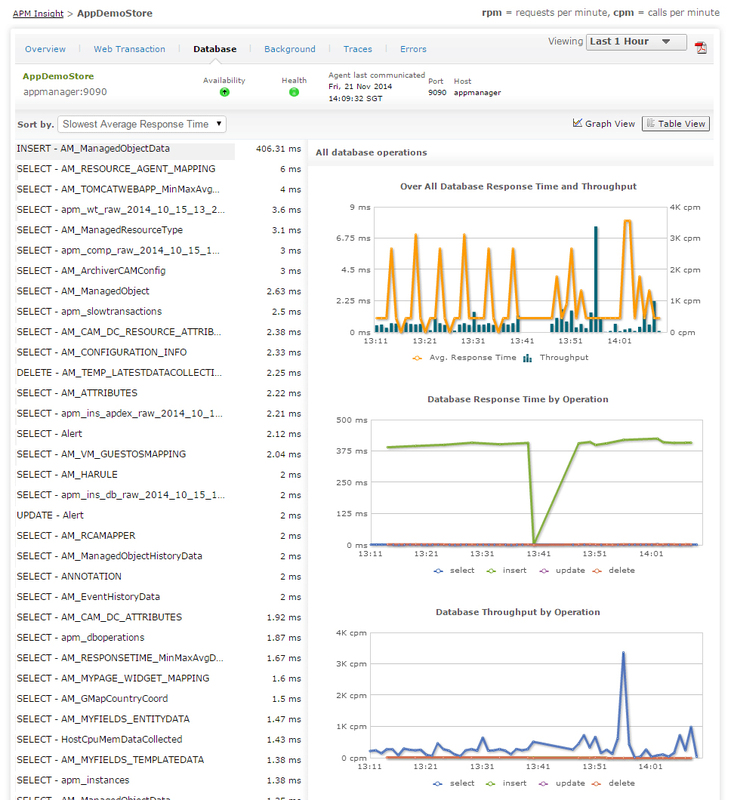 Avoid timeouts, maximize throughput on hardware and reduce the garbage collection load. Also save time taken to load frequently used objects, thus reducing unnecessary overheads. Effectively track thread pool utilization to prevent deadlocks and detect thread pool exhaustion. Automate taking thread dumps within intervals to identify problematic code. 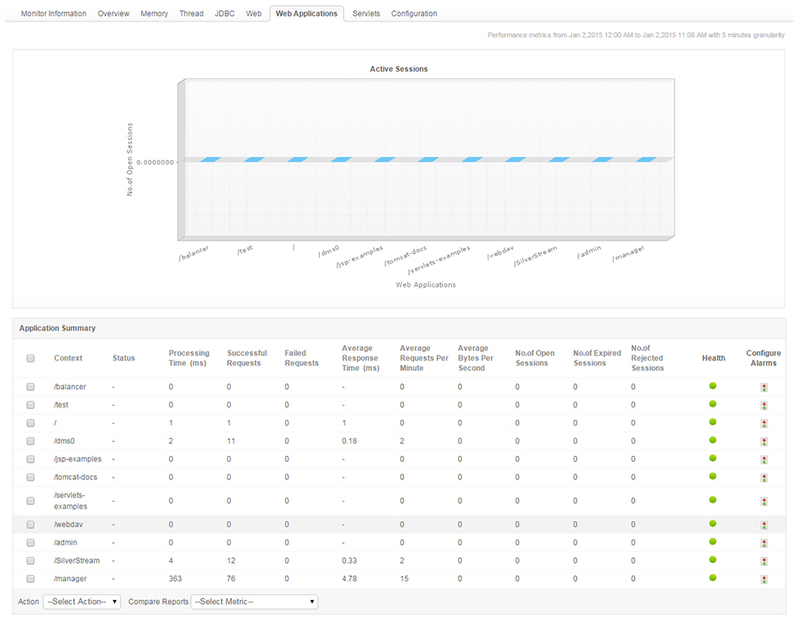 Track user experience by measuring the Apdex (Application Performance Index). You can precisely view database performance metrics, trace transaction flows, perform code level diagnostics and easily identify potential bottlenecks. Optimize your application's performance by monitoring important metrics like number of active sessions, average response time of an application, etc. 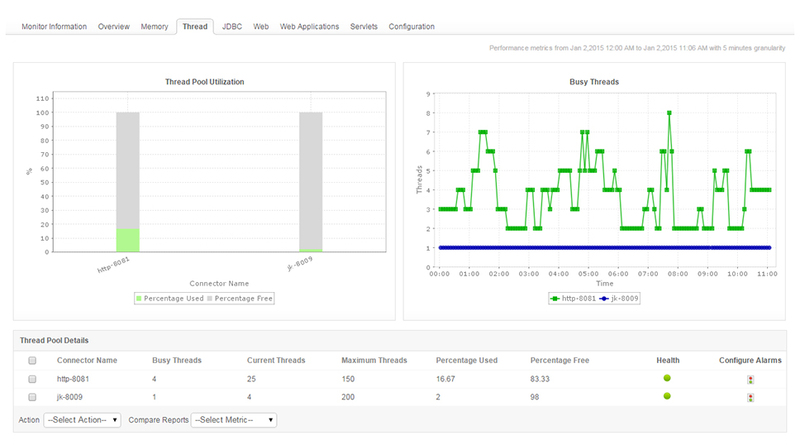 Applications Manager helps you gain an accurate overview about the health and performance of your Tomcat environment with the help of out-of-the-box reports and dashboards.